If you could have one more hour today how would you spend it? Society has taught us that living a healthy lifestyle, one which includes a balanced diet and regular exercise can prevent us from getting any forms of illnesses, hasn’t it? However, life can be so playful sometimes. You are totally fine one day, then next thing you know you wake up feeling sick, finding yourself in a hospital waiting for a test result. Life is indeed full of uncertainties, isn’t it? We end up surprised, astonished, shocked and the question “What has gone wrong?”. That day happened in that hospital for our dear client Maggie “the strongest rock” as we call her being diagnosed with grade II Breast Cancer. She was that woman, a woman who showed strength fighting for cancer, fighting for her life. 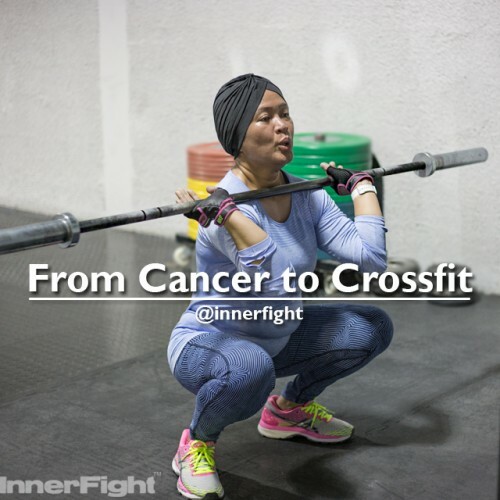 We are privileged to share Maggie’s story first hand, how she won the battle over cancer and how she discovered CrossFit. Q: Can you tell us a little bit about your story and your journey? At what point did you get your cancer diagnosis? A: Late 2013 I got diagnosed with grade II Breast Cancer; it was devastating and life shattering. I felt it at that moment in my bones, I am a warrior and I am not giving up. I decided to take the challenge on, one-step at a time. Rough ride you can call it between several surgeries, chemo, radiotherapy and many other therapies but thanks to my ever loving and supportive husband Tamer a.k.a. TA/Tahiti, that challenge was like a walk in the beach. Around May of 2015, I finished my treatments. I had the sigh of relief and the determination to push through life. It isn’t that easy, I was run-down from all these chemicals, and radiation. I needed someone to pump in life back on to me. Q.What was your path into fitness like before cancer hits you? A: I was a regular nine to seven employee; working too hard, gave myself all the excuses in the world that I have no time for anything else and always looked at my weekend as the getaway to my couch and TV series, and religious visits to Dubai’s cafes and restaurants. 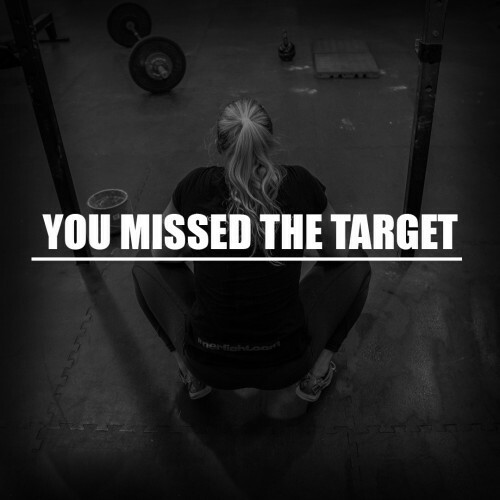 Q: How this whole journey led you to becoming interested in CrossFit? A: I decided to really make the big change. First, I was very appreciative for God’s gift, so I participated in creating more awareness on how women can take better care of themselves and what they should do. On a personal level, I told myself if I could beat Cancer, for sure I can do more. What would be better than surrounding myself with positive people; positive energy rubs on really. And only until I started writing this to you, I didn’t know that my husband my pillar of strength in all this, had already spoken with Marcus Smith to introduce me to this life-changing program, and Marcus’ willingness to take it on him to push me back on to the right track. Q: You are cancer-free now and you have been working out 4/week. What does this new lifestyle mean to you? A: I was unsure, scared and apprehensive at first, I have never been a member in any Gym before, how will I fit in? However, I was met with a smile from everyone who has very infectious confidence. It was a pat on the back that it will be all right. You have arrived. 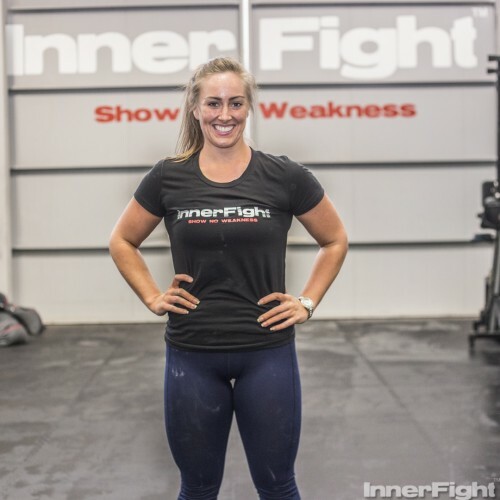 I joined Innerfight and my engines were started with the capable hands of Carmen Bosmans and then I joined the Base-Fitness program twice a week, then thrice and now four times a week. Q: How has InnerFight and the program helped you? A: The people. The environment. The vibe. They are very motivating. They will never leave you alone in your journey. They will cheer for my name when I carry that barbell, hanging from the bar, and for sure doing those lovely burpees. Five months down the line, I feel stronger and livelier more than ever. I became better at life, and my health-struggle memories are fading away and my wounds have healed. Q: What advice would you give to someone who’s having trouble staying on track after getting sick or just you know plainly lazy people? A: When I decided to share my story, I had only couple of words in my mind to you “No Excuses” to stay at home, and be lazy. Invest in your better-self, in your future. Come and be happy, live life to the fullest, smile, laugh, but mostly, please put into your mind that being active is your first line of defense. Feeling inspired after reading Maggie’s story? Of course you are! Come and sign up to our Base Fitness class and create the new you.